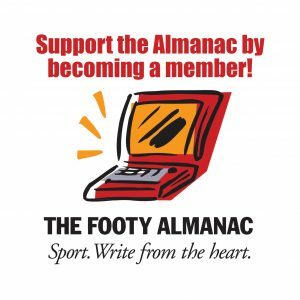 AFLW Round 1 – North Melbourne v Carlton: The Roos were just too good. The smell of a new season was intoxicating. It was soon mixed in with the salt air of Port Phillip Bay as we sailed the ‘Spirit’ to Devonport. How exciting was it to think that the blue girls were on the cusp of a new and better season. We had Bri Davey fit and firing. Maddy Prespakis was showing all the form of a #1 draft pick. Tough and strong Kirby Bentley from the Dockers. Even an Olympic gold medallist, Chloe Dalton, to add a little swagger to list! Not even the ‘choppy swell’ could dampen our spirits as we sipped a nice Tazzy pinot on the stern deck. As soon as we hit land, fortunes began to turn. The Cats hold out the Pies, the perennial first round losers, and I’m sitting zero from one in the tipping. We’re still waiting aboard the Spirit because if you’re first on the ferry, then you’re last off! As soon as we get going it is a B-line for Hobart, not a good idea when it’s 9pm and it’s a three-hour drive. Oops, should have filled up in Melbourne as on the highway – there are no petrol stations open bar the ‘self-serve’ which takes more time to work out the screen than fill up. To add salt, the highway seems to be under construction for what seems one third of the trip. It is mostly two way and it crosses train lines! Unheard of nowadays on the mainland! By now everyone knows the Sunday result of the first ever game in for the girls in Tazzy. So, this is a message for the other six teams playing North Melbourne this year – be very scared. After witnessing the massacre at North Hobart Oval, I reckon the Roos team is quite rightly the bookies number one team at the moment. Emma Kearney could very well repeat her dual success from last year. 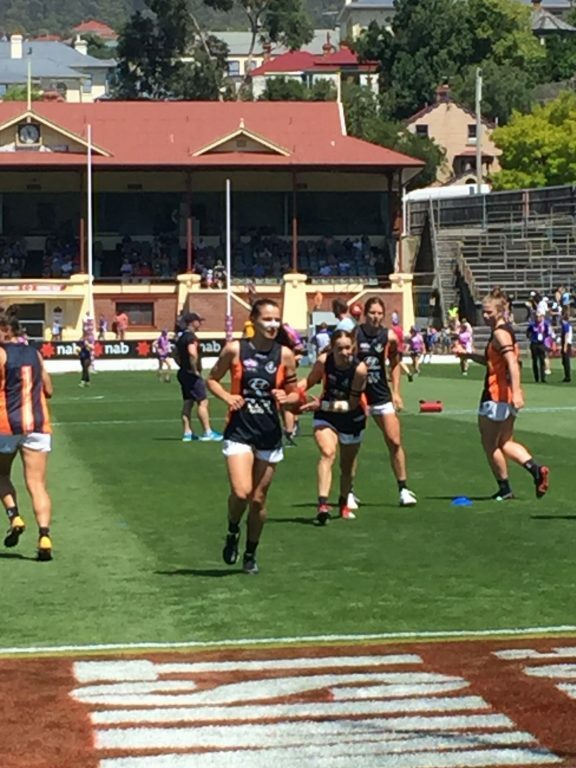 For the Carlton faithful, there was really only one excellent passage of play – a coast to coast play: Gab Pound took advantage of the new play on rule from a point kick in when she ran a good 20m and hit Bri Davey on the chest just short of the wing. Quick transition play down the field finished with a Jess Edward’s goal. It was the team’s best passage of play … and hopefully one that they can repeat more often. Now I’m off to taste test up the pinot valley to Richmond. This might take my mind off those North Melbourne girls running amok. PS – If you ever get a chance to visit the North Hobart oval, then walk into history inside the Horrie Gorringe Stand. The memories of the Demon’s finest are on the walls reminding us all of the rich Australian Rules heritage that flourishes in Tasmania. Read more about North Hobart Oval from Martin Flanagan HERE. Read David Wilson’s North Hobart piece HERE. Nice work Dave. Obviously, even with the obstacles and Blues loss, there was much to enjoy about your journey. 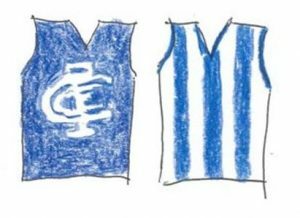 Totally agree re North Melbourne. They look amazing and have a clear advantage now at the top of their conference. Everyone will be gunning for them.